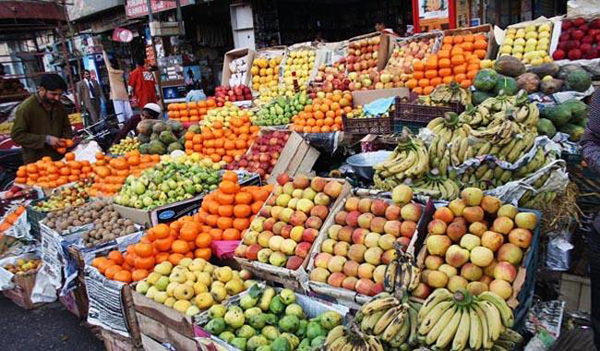 ISLAMABAD, May 20 (APP):The citizens Sunday urged the Islamabad Capital Territory (ICT) administration to take action against those shopkeepers who were displaying unauthorized rate list of fruits and vegetables to mislead the customers in the holy month of Ramadan. According to them, the shopkeepers were charging their self-generated rates on fruits and vegetables and they were fully violating the ICT administration’s direction about the actual price list. They said the administration’s teams should pay surprise visits to rein the prevailing phenomena of overcharging being observed in the markets of federal capital. The public were of the view that the government had taken productive steps by introducing the fixed and affordable rates for fruits, but it was high time to keep an eye on the profiteers who always looked for an opportunity of fleecing the public. They said such visits of officials concerned in fruit and vegetable markets would help maintaining the prices and ease the worries of buyers in the holy month of Ramadan. He asked the price control committee members of ICT to check the prices of fruits which were sky rocketing despite tall-claims of departments concerned regarding provision of edible items at nominal rates. He said the authorities should remain vigilant over unfair tactics and called for the regular visits in main sectors’ bazaars of federal capital in order to provide a sigh of relief to the general public. He urged the shopkeepers to display actual price list and not to cheat the people. When contacted, the ICT spokesperson said special committee had been formed for prices control of edible items. He said 20 price checking teams were in the field carrying out inspections in their assigned areas and punishing the violators. He said the crackdown campaign would continue during the whole month. He informed that the administration had imposed fines amounting Rs140,800 and Rs150,000 on shopkeepers for overcharging on the food items for the first and second consecutive days. The 13 profiteers had also been arrested on the spot for violation of Pure Food Ordinance, he added. He said in some areas, the profiteers were found selling substandard food items besides displaying fake rate lists. Responding to a question he said all such shopkeepers had been clearly directed to display official rate list, otherwise strict action would be taken against them, he added.